Hospitals are meant to heal the sick, but waiting in emergency departments for hours or days on end could be doing more harm than good for thousands of mentally ill patients. The Australasian College for Emergency Medicine on Monday issued a warning about the impact of “unacceptably” long waits for beds for vulnerable patients, including suicidal young people and the acutely psychotic. At an estimated 34 per cent of emergency departments, it is a daily occurrence for mental health patients to wait eight hours or more for a bed, even after being assessed as sick enough for hospital care. Patients are often forced to stay in busy and brightly lit emergency rooms for more than 72 hours, said Dr Simon Judkins, president of the Australasian College for Emergency Medicine. “And there’s cases of patients staying five to six days, which is just horrible to think about,” he said. Dr Judkins said sometimes security staff needed to be called in to manage patients’ behaviour. “And that’s completely understandable. Anyone in that situation would get upset and angry,” he said. “We are trying to get anyone who is involved in providing mental health care to agree that this certainly isn’t good enough. A census run by the college in 2016 found that 33 per cent of Victorian emergency departments reported daily waits of eight hours or more for mental health presentations. In New South Wales it was 26 per cent, Western Australia 62 per cent and South Australia 50 per cent. 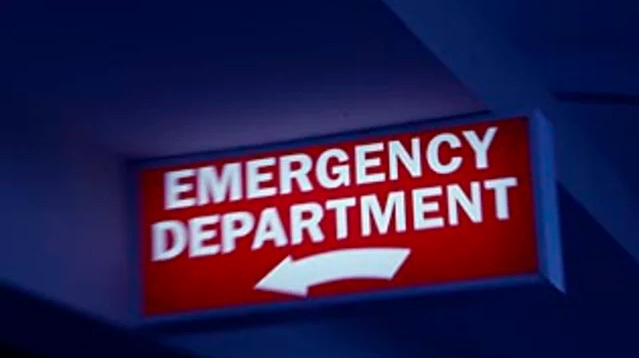 Meanwhile, a snapshot of 72 emergency departments in Australia and New Zealand in December found while mental health presentations made up just 4 per cent of emergency visits, they represented up to 28 per cent of patients waiting excessive times for a bed. Simply, the problem comes down to a shortage of a mental health beds, Dr Judkins said. Australia ranks 26th of the 35 countries in the Organisation for Economic Development for number of hospital-based psychiatric beds, with 39 per 100,000 people. But there are also calls for better community mental health services that would prevent people needing to go to the emergency department in the first place. Indigo Daya, human rights adviser with the Victorian Mental Illness Awareness Council, said emergency departments were built and designed for physical traumas and emergencies, not emotional and mental crises. “I think in a lot of ways they are almost the complete opposite of what people need,” Ms Daya said. Ms Daya said it was not uncommon for people to end up “restrained” after getting frustrated with the long wait and saying they wanted to leave, or even asking to go outside. “The hospital won’t allow a consumer to leave if they’ve decided they need to be admitted or assessed,” she said. “That person can end up restrained, strapped down on a bed, or locked up in a small room. The Australasian College for Emergency Medicine agrees that hospital waiting rooms are not always the best place for those that are mentally ill, suggesting that better models could include 24/7 mental health drop-in centres, such as a cafe model being trialled at Melbourne’s St Vincent’s Hospital. The college said it was also likely that many mental health presentations occurred as a result of chronic underfunding of community treatment services. “ACEM believes that funding to mental health services should occur as a matter of urgency,” Dr Judkins said. He said the college would lobby state and territory governments and federal bureaucrats on its proposed measures, including hospitals having to report bed waits exceeding 12 hours for mental health patients to a higher authority.